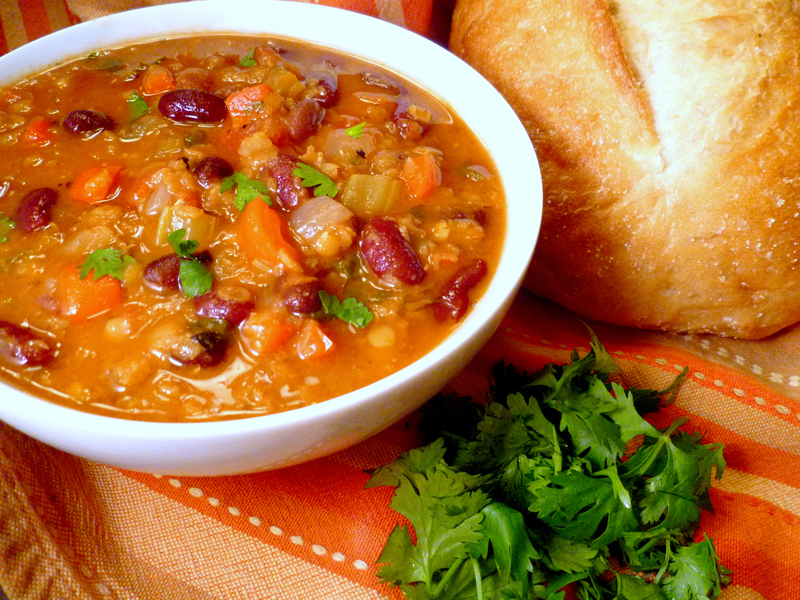 This hearty soup will definitely warm you up on a chilly winter day. 1. In a large pot cook onion, garlic and tomatoes on medium-high heat for 3 minutes. Stir often. 2. Add beans, potatoes and water. Bring to a boil, then reduce to low-medium heat. Cover and continue to cook slowly for 20 minutes. 3. Add cilantro, cumin and lime. Stir and continue to simmer for 10 minutes. 4. Serve warm; sprinkle cilantro on top. Rinse. Trim off ends. Remove dry, papery skin. Cut in half. Peel away thick outer layer. Chop or slice. Eat raw: Sweet and red onions are milder and can be added to salads and sandwiches. Eat cooked: Yellow and white onions are stronger and great for cooking. Sauté, stir-fry, microwave, steam, boil, or braise. Add to soups, sauces, casseroles, dips, and vegetable, pasta, rice, and meat dishes. This is the traditional take on this Middle Eastern dish--it's loaded with nutrients such as protein, fiber, iron, and magnesium, and is a delicious snack served with sliced vegetables or whole wheat pita. This quick, easy to prepare dip makes a great snack or healthy lunch when served with vegetables!